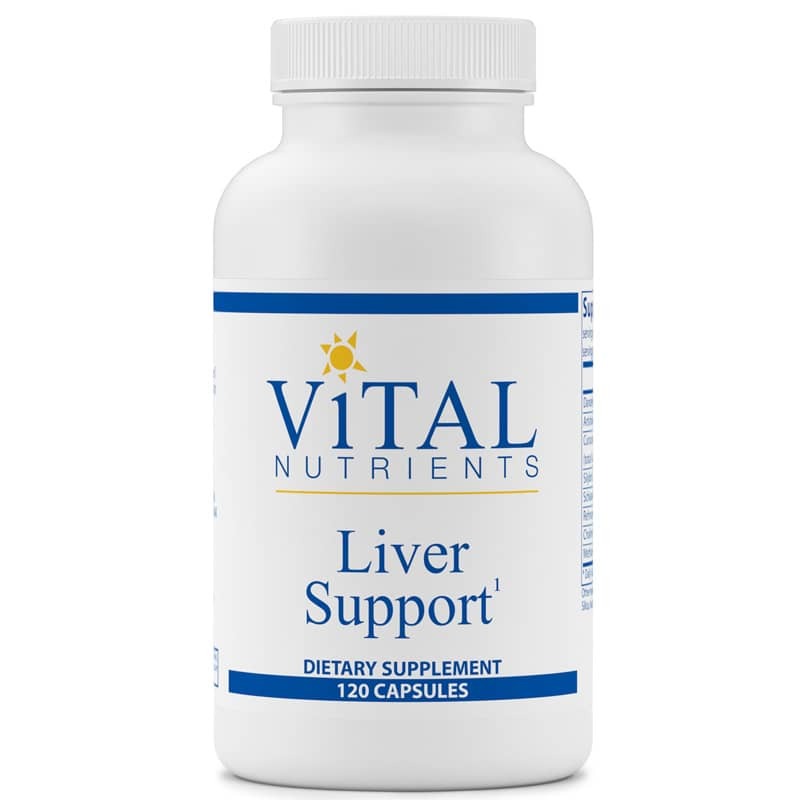 Liver Support from Vital Nutrients is a unique combination of herbal extracts that works synergistically to support liver function. Nutritionally supports and protects liver cells from free radical damage. Silybin, one of the primary constituents of milk thistle, supports the livers efforts to remove chemicals, drugs, alcohol, and other exogenous toxins. Curcumin is also an inhibitor of arachidonic acid metabolism and has potent antioxidant properties. Contains NO: coatings, binders, yeast, wheat, gluten, milk, dairy, corn protein, eggs, sugar, soy protein, hydrogenated oil, artificial coloring, artificial flavoring or preservatives. Adults: Take 1 to 2 capsules 1 to 3 times daily or as recommended by a healthcare professional. My doctor recommended this for assistance with healthy detoxification and digestion.